This is one of the very best list of its kind where you can find incredibly useful and life saver FREE web apps that you probably never heard of and these would be great enough to bookmark or just for get in your knowledge. I hope everyone of you will like this list, you can try these whether you are an office worker, a manager, a supervisor, a student, a home user, etc.These are really amazing in respect to their features. This is the list of 13 Incredibly Useful Web Apps (You Probably Never Heard Of). Just take a look at them and share your thought’s here. 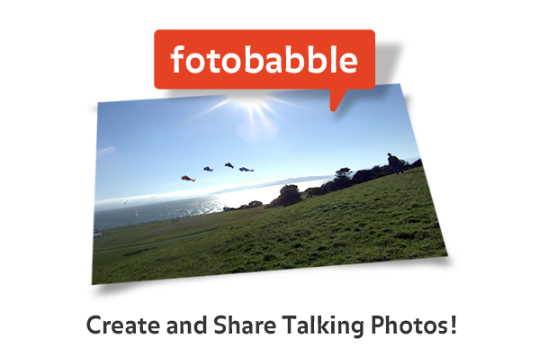 You are welcome if you want to share more useful web apps that our readers/viewers may like. Do you want to be the first one to know the latest happenings at smashingApps.com just subscribe to our rss feed and you can follow us on twitter , follow us on Google Buzz and do not forget to become our fan on facebook as well. 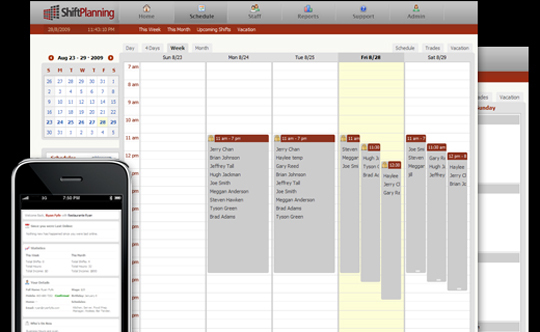 ShiftPlanning is a free online employee scheduling management software aimed at helping businesses with their employee scheduling. Interactive and easy to use, ShiftPlanning is next-generation scheduling software that delivers precision and speed to the business’s scheduling responsibilities, freeing up time to concentrate on other demands. Whether you’re on the couch at home, taking the morning commute or waiting at the airport, you can catch up on your reading list whenever you have a minute or more. LaterLoop is a free service that’s optimized for iPhones, Blackberries, Nokias and similar smartphones. LaterLoop also has a clean web interface for your regular browser. ScreenToaster is a free web-based screen recorder designed to capture your screen activity, audio and webcam images in real-time then publish and share your video in blogs and websites. Unlike others, ScreenToaster works in all browsers and doesn’t require any download so that you can use it anywhere, anytime. Tracking time has never been easier. 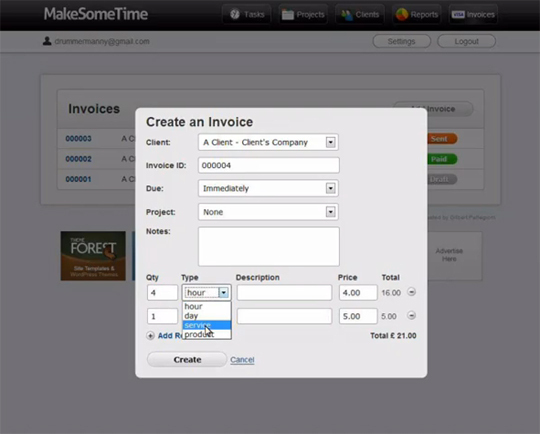 Keep your times organised by clients, projects and tasks with MakeSomeTime. This is super easy and having simple user interface. No clutter. Just what you need to get your work done. 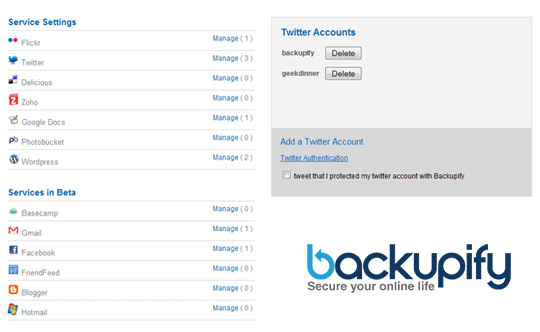 Backupify provides daily automatic backups, archiving, and export for all your social media and SaaS data. You can take back control of your online data with Backupify. Do you have friends that always owe you money? Or do you lose track of how much you owe your colleagues for lunch? Credeble never forgets who owes money to whom. Credits and debts are automatically balanced. 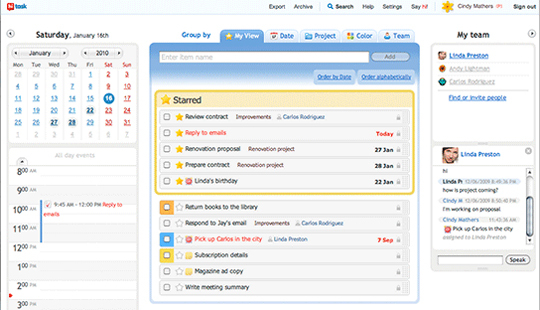 HiTask is a friendly and easy-to-use task management system that anyone can start using right away. It is designed to satisfy both sophisticated followers of David Allen’s “Getting Things Done” methodology and anyone who just needs a quick and easy tool to manage their everyday tasks. 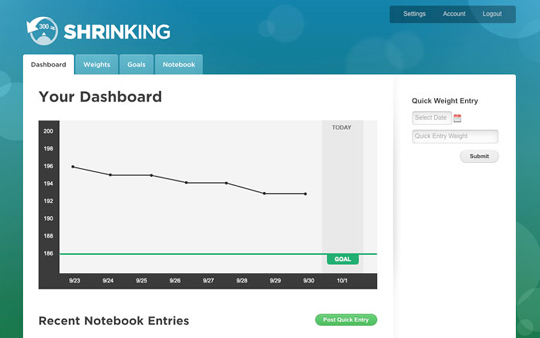 Shrinking is the easy, fast, and free way to track your weight and see your progress. Simply login and enter your weight. They will automatically track your weight-loss for you on their easy to read chart and show you how you are progressing toward your goal. Everyone with a website knows that, things can sometimes go wrong. Sometimes it is with the code, the server or the network. Uptime Robot is all about helping you to keep your websites up. It monitors your websites every 5 minutes and alerts you if your sites are down. 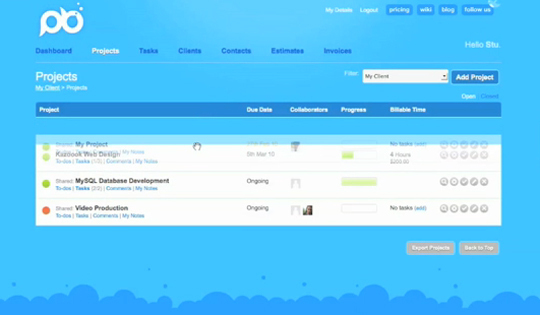 Project Bubble is a simple and easy tool for managing your projects, client and invoices. 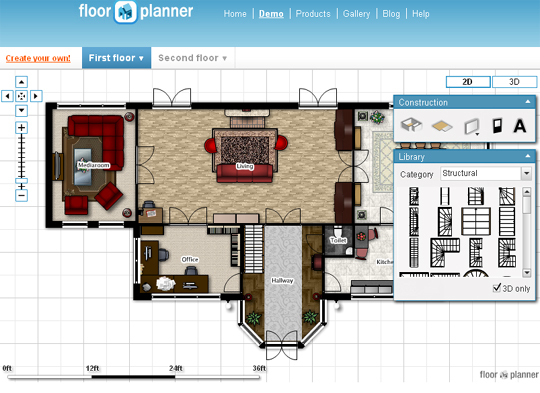 It’s intuitive interface makes project management a breeze. You can easily generate PDF invoices and get paid through PayPal. crocodoc takes your PDFs, Word documents, and PowerPoint presentations, and lets you view and mark them up online. Documents can be shared with others, who can collaboratively highlight or strikeout text, add notes and comments, and make revisions. All files are stored securely on their servers, and can be password protected and encrypted for maximum security.